Union and commitment are the most important keywords for the Two of Cups Tarot card. This minor trump refers to relationships that thrive with prosperity and understanding. Examples of such relationships are friendships, a new romance, or a working team that is full of good energy, solidarity and that produces excellent results. When it comes to love, you can expect a relationship full of promises. However, these are not the kind of relationships that are set in stone or that will last forever like those signified by The Lovers. They are also not like those that are announced by The Devil where the attraction comes from intense and passionate urges. The Two of Cups Tarot card type of relationship is instead a romantic courtship in which the first steps are beginning to take shape. In any card suit, the second card stands for the concept of balance. 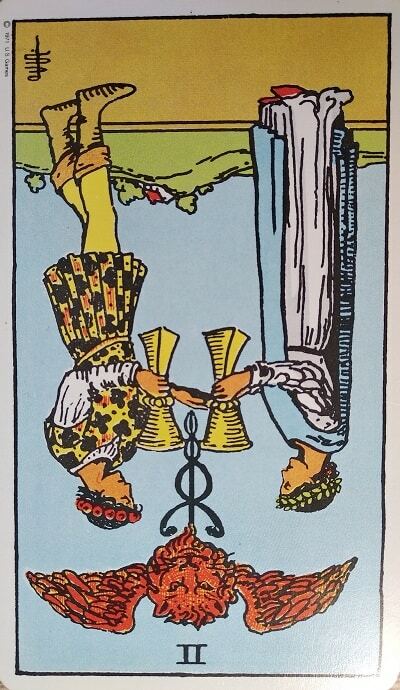 Therefore, when appearing reversed, the Two of Cups point to a lack of consideration or empathy. This card may even signify manipulation. Possibly the querent is a giver and is sacrificing too much in a dead end relationship. Alternatively, we may have to advise the querent to be a little less self-centered. On the other hand, when the Two of Cups Tarot card is reversed, it may be a warning of imminent troubles and difficult discussions in personal relationships. It is time to take a step back and rethink your strategy, your behavior, and your attitude. 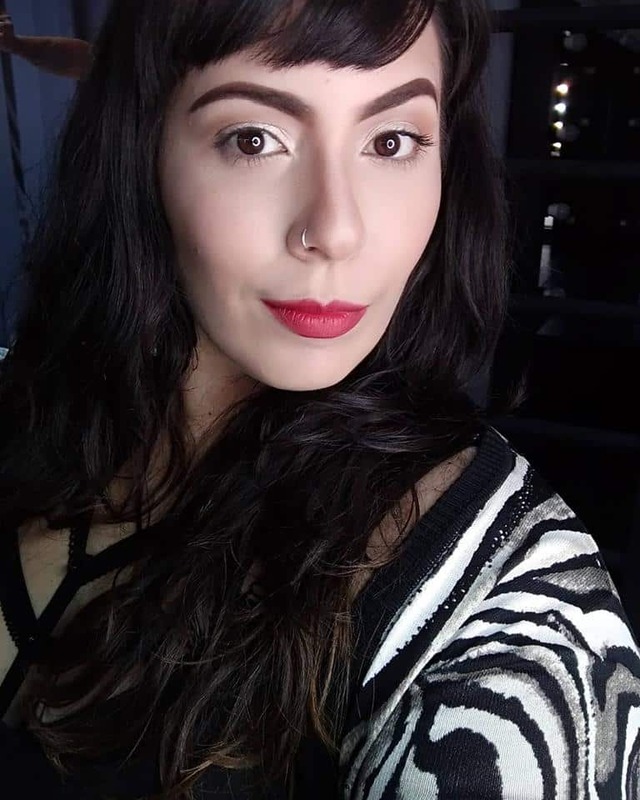 Upright: Love, romance, positive friendships, connections, good relationships, reconciliation, forgiveness. Reversed: Arguments, broken friendships, lack of connection to others, a need to forgive, lack of commitment. 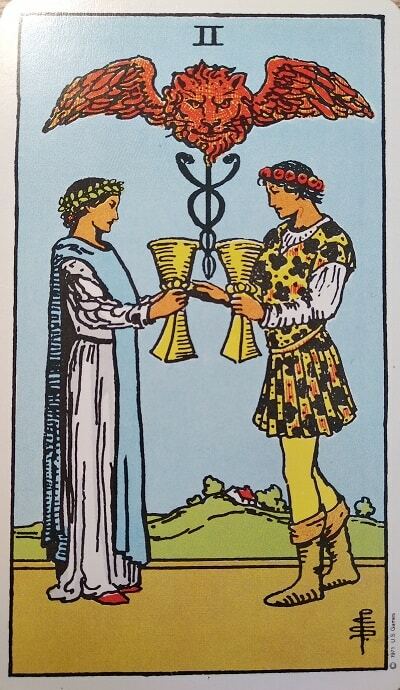 On the Two of Cups Tarot card, we see a couple raising chalices to make a toast. They look calm, and they are looking into each other’s eyes. Between them, there is a caduceus, the symbol of Hermes, formed by two snakes wrapping around a cane. A winged lion’s head crowns the caduceus. The scene is surrounded by green hills, trees and a cloudless bright blue sky. The woman is dressed in a white tunic with a blue veil. The man is wearing a yellow tunic with a print of black and red flowers. On the Two of Cups Tarot card, we see two people, sharing a moment of intimate celebration, making a toast and bonding over their mutual objectives and desires. The caduceus is very important because it is the symbol of Hermes, the messenger of the gods. For this reason, we can assume that he is helping with communication and understanding. Nevertheless, we need to remember that he is also the archetypical seductive player, so this could be a casual fling rather than a long-term commitment. The winged lion’s head floating above the couple symbolizes protection, strength, and passion. There is a sunny landscape with a clear blue sky, which almost seems to say “you will get what you see, so be sure to look twice.” The lush greenery in the background suggests a perfect environment for a relationship to grow. Both characters are wearing white. Although the man apparently conceals his intentions behind a colorful suit, he is also wearing white robes under these outer garments. The white garments symbolize that their emotions harbor no evil or no ulterior motives, only purity and innocence. They have become closer, and they recognize that they have common goals and paths. Both of them are going in the same direction and are protected by the messenger of the gods. What happens, however, when the encounter leads us to recognize that there are also differences between us? Are you afraid of the unknown? Do you respect the people who are different from you? 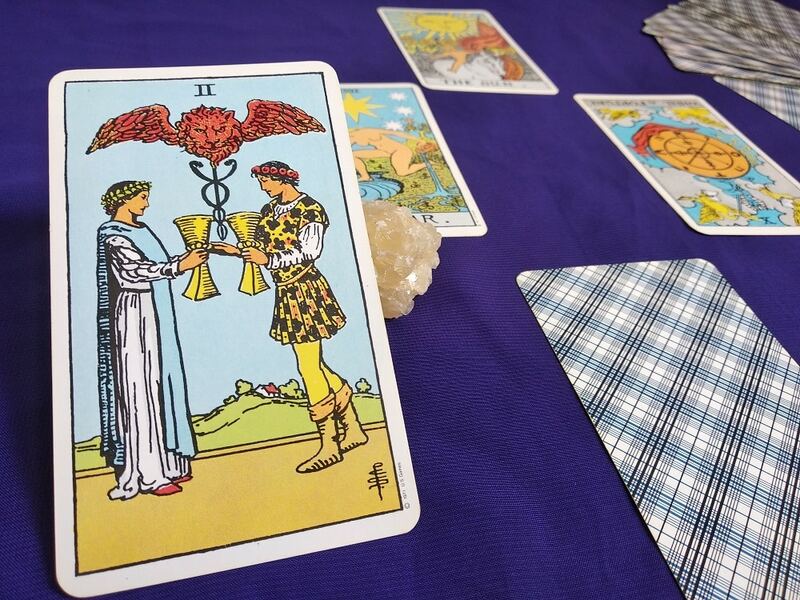 When a two appears in a Tarot reading, we need to consider that we might be lacking balance. It is essential for us to take a look at all of the aspects that we still need to work on in order to improve our relationship with others. Cups represent emotional depths, feelings, relationships, and emotions. Therefore, creating balance in your life will bring a more mature, long-lasting love. Working on our communication skills and self-control is essential to form and maintain positive relationships. Jealousy, greed, selfishness, enmeshment, or co-dependence often cause us to become bitter, lonely and regretful. Once we have strengthened our emotional health, we will be able to put distance between us and those emotions and thereby create trustworthy, healthier, and happier relationships. An upright Two of Cups Tarot card is an omen that a new love is coming your way. It means that at this point in your life, you have done the necessary work to create and establish a healthier relationship with yourself and with others. If this card appears in a spread when a querent is asking about a relationship, it can refer to marriage, proposals, commitments, and sincere friendships that are full of honesty and kindness. The Two of Cups Tarot card is a card of communication and in-depth exchange of emotions. A love connection has or will be formed shortly. This person will make you smile and will support you in reaching your goals. Celebrations, new beginnings, and commitments are also on the horizon. Learning to love yourself is the only way to attract the relationship you long for. This card could indicate that a friend or a new lover will help you to live a healthier lifestyle. If the querent or a relative is sick, this card refers to the process of healing so long as the person follows all of the health professional’s orders and prescribed treatments. An upright Two of Cups Tarot card in a work-related spread means that you will have a great relationship with your boss or with a co-worker. It will be an exchange full of understanding and similar points of view. It can also indicate that you will reach the success you have been working so hard to get. New partnerships, associations, contract signatures, and investments are other significations of this card. If you are thinking about associating with someone, the presence of this card in your reading tells you that the person you are considering as a future partner will be someone with whom you will get along with well. Investments, savings, and profits will come your way. It’s time to seek partnerships to generate more income. If you are creating new companies, you can trust your business associate completely. It will be a very fruitful project. When reversed, the Two of Cups Tarot card indicates that there is a lack of connection between you and your partner or with your inner self. 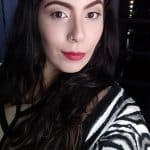 Some other indications are a lack of balance or self-control, stormy relationships with possible mind games or love triangles, or a loss of a sense of equality in your relationship with your partner. Cheating, secrets, and lies may also be plaguing that particular relationship that may seem completely lost from your present position. The reversed card may also show that a relationship that was once flourishing is becoming stagnant and boring. Arguments may arise constantly, and there could be a general lack of respect between you and your partner. 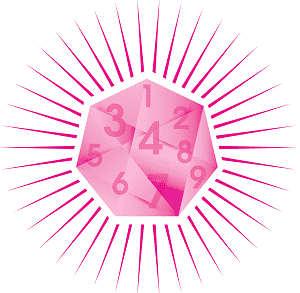 In the presence of very negative Arcana, frustration will be amplified, not only emotionally but also sexually. You could experience dissatisfaction, impotence, or coldness. If this card appears reversed in a spread concerning business or other endeavors, hidden agendas from your partners are about to emerge and it won’t be pleasant. The Two of Cups Tarot card reversed could mean that there is a lack of understanding with your romantic partner. If you still have faith in the relationship, look for advice or go to couple’s therapy and try to rebuild it. This card could mean the ending of a significant relationship or a sudden emotional disappointment. It can also indicate that the querent suffers from unrequited love. When we are suffering from heartbreak, our immune system gets debilitated, so it is essential to take precautions and control all of the self-destructive behaviors associated with depression. Time to pay a visit to your health professional. In the area of work or economics, the appearance of this card can point to an organization that comes to an end. In the same way, it may indicate a possible termination or a business that seemed promising but wasn’t as successful as we expected. In the case of the reversed Two of Cups Tarot card, money can be a problem in the relationship that you have at the moment. Avoid splurging. Keep your expenses under control and follow a budget or an investment plan. It is not the time to follow advice or trust your advisors. Follow your gut. Rider-Waite images used with permission of U.S. Games Systems, Inc., Stamford, CT c. 1971 by U.S. Games Systems. The Two of Cups tarot card revolves around an intimate partnership of some kind. Find the upright and reversed meanings for love, health, work and money!